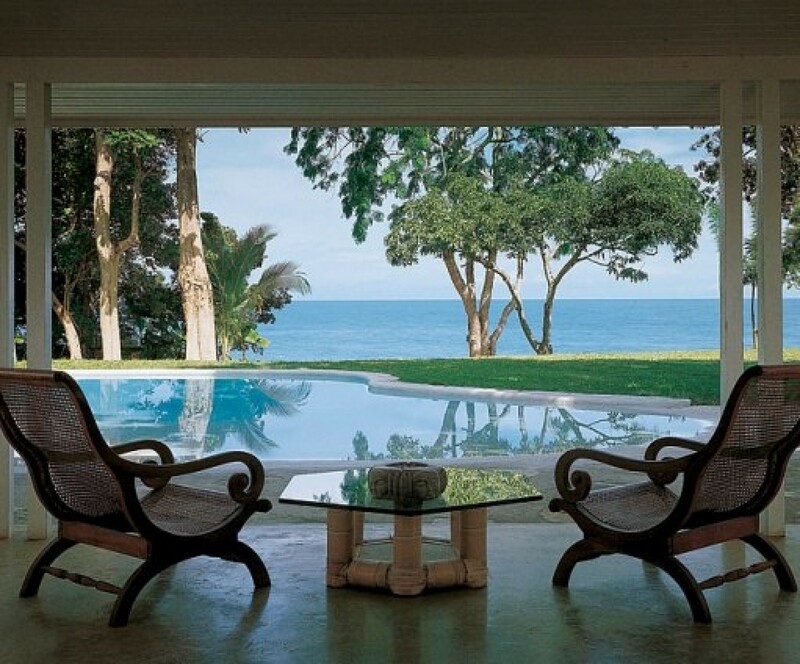 FOR DECADES, The Fleming Villa has been legend for its illustrious past, its celebrity guests, and the lasting works of literature and film that were penned and shot here. Today, it is just as stunning as ever and still filled with the echoes of the literati, the rich, famous and infamous who gathered here for adventures romantic, intellectual and illicit. 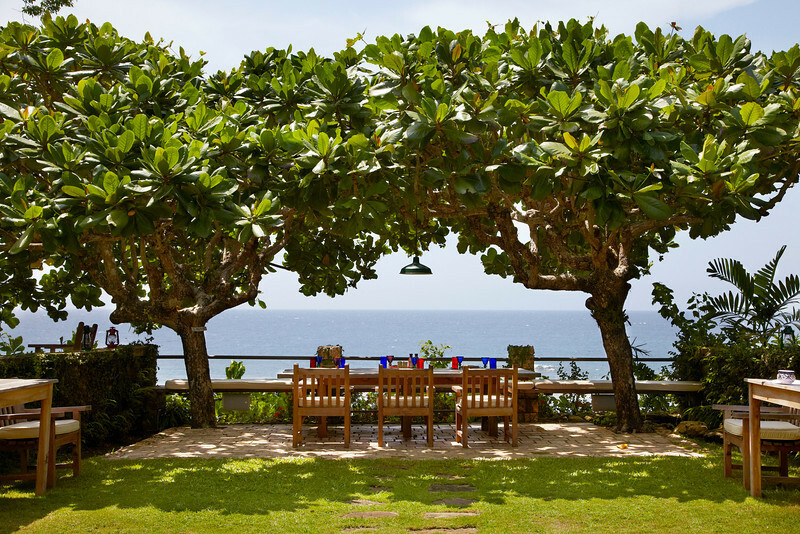 The Fleming Villa is like an island unto itself. Looking for privacy? 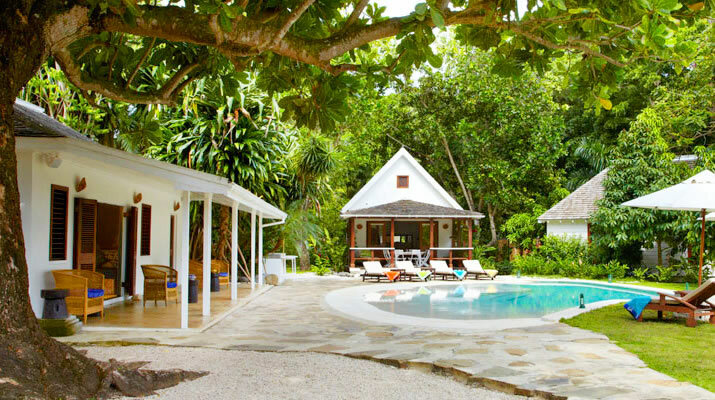 Fleming Villa (along with its satellite cottages, Pool House and Sweet Spot) is all about privacy. 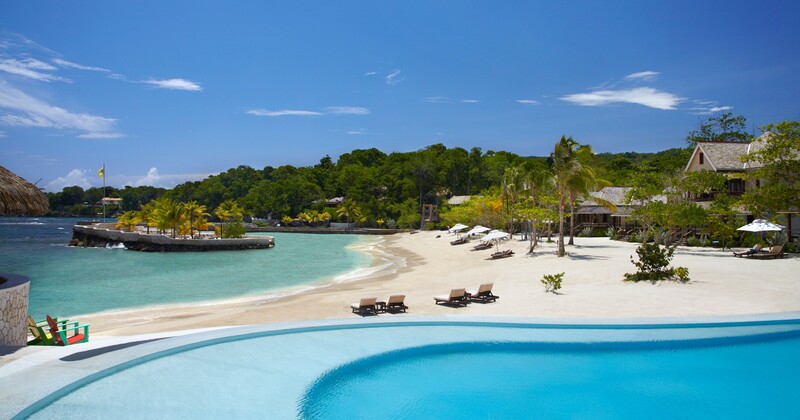 Your own beach—and, of course, your own pool, gardens, and staff. 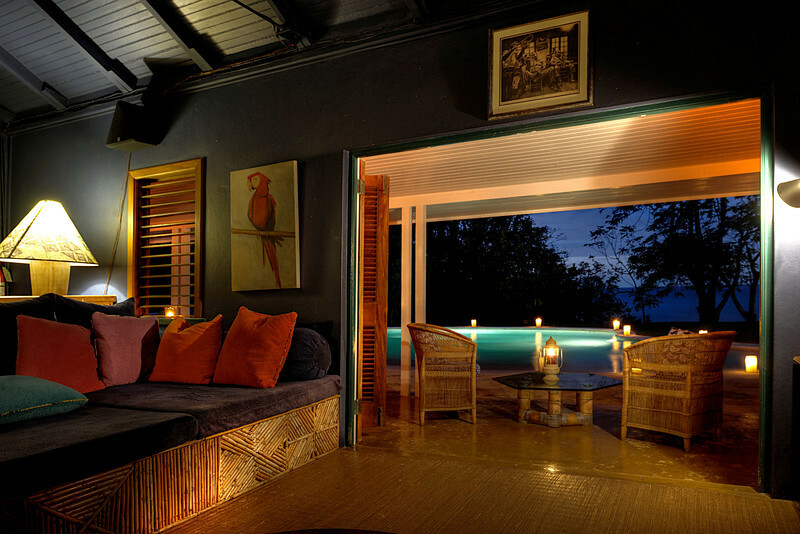 Walk over to GoldenEye for a spa treatment, for sunset cocktails at the Bizot Bar, for dinner at the Gazebo. 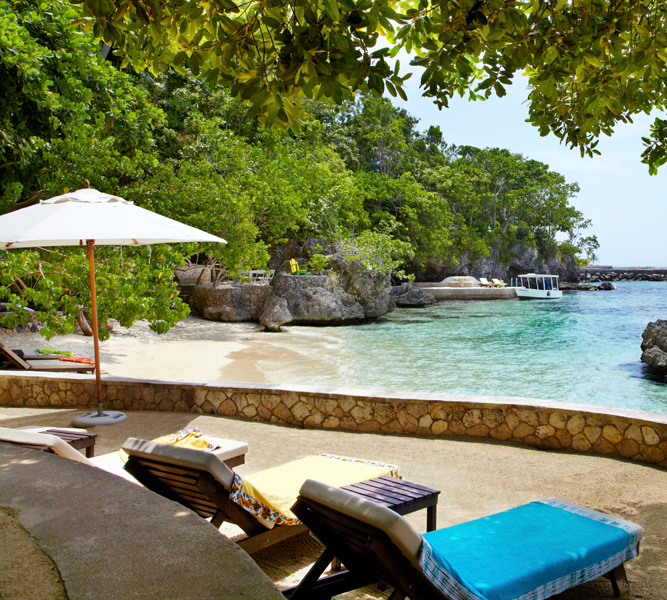 Walk back to Fleming Villa and, again, you’re secluded. Removed from it all. 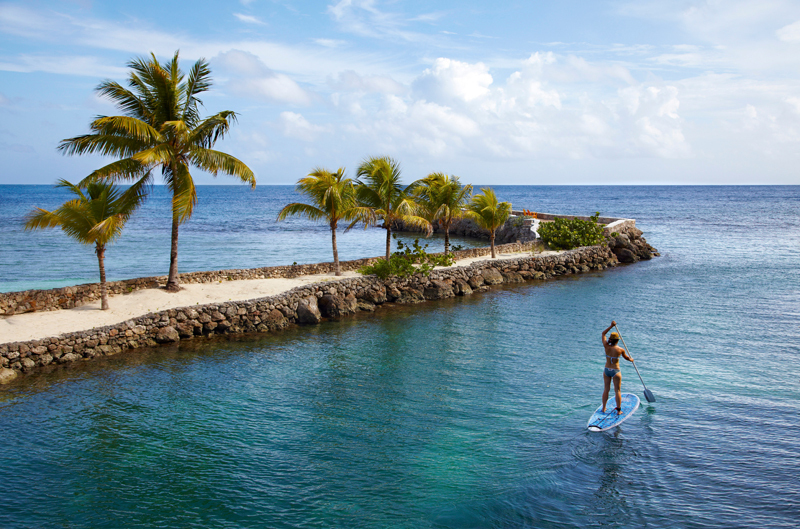 Really, it’s the best of all worlds—and, the very best of ours. Of course, there’s the history. 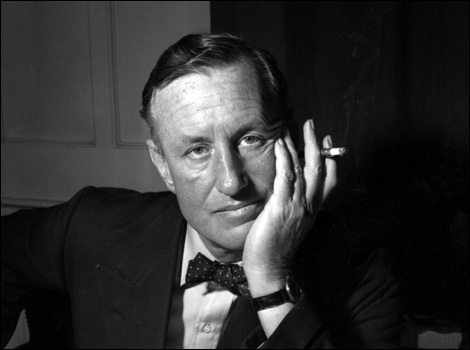 Fleming, and his character, Bond. James Bond. 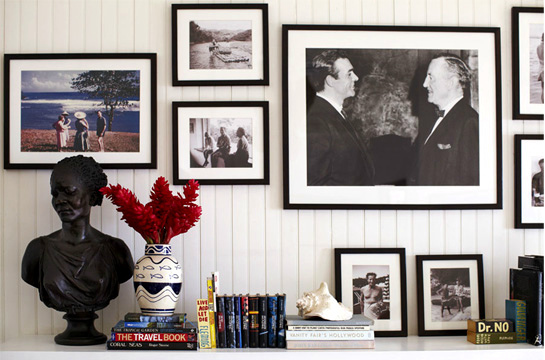 If these walls could talk they’d tell tales of artists and writers, spies and seducers. The romantic atmosphere is palpable. The vibe, utterly relaxing, though you may feel the inspiration that lives here, still. 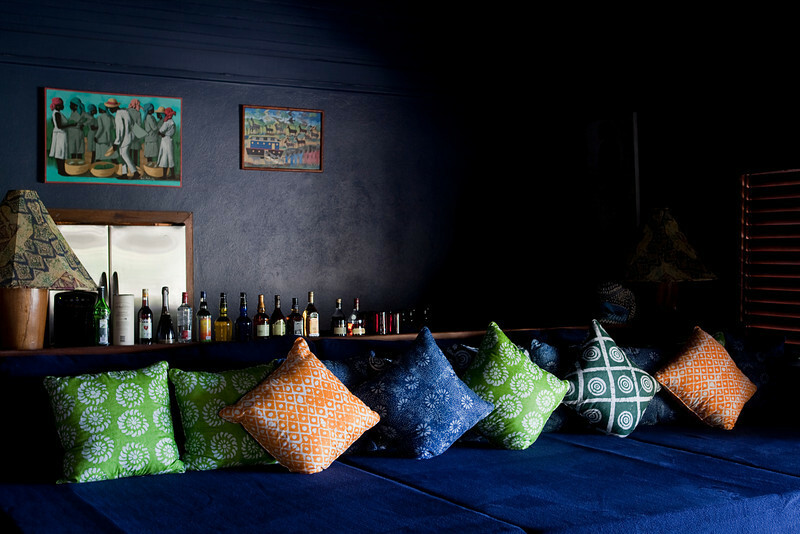 All bedrooms have safes, Royal Hut hand-dyed batik robes and bath and beauty products made using local wild-crafted botanical ingredients. 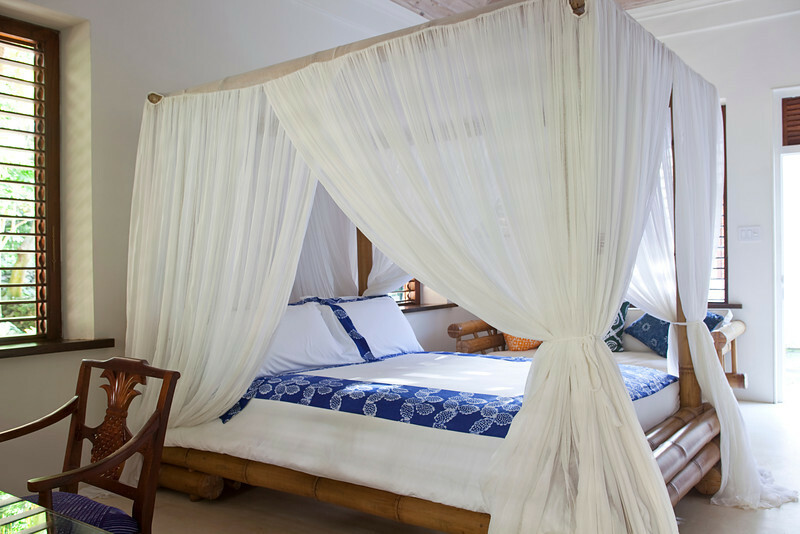 Kingsize four-poster bamboo bed with en-suite bathroom. Fleming’s original writing desk, at which he wrote James Bond’s adventures. Foldout window shutters that open to the sea. Indoor bathroom with shower. 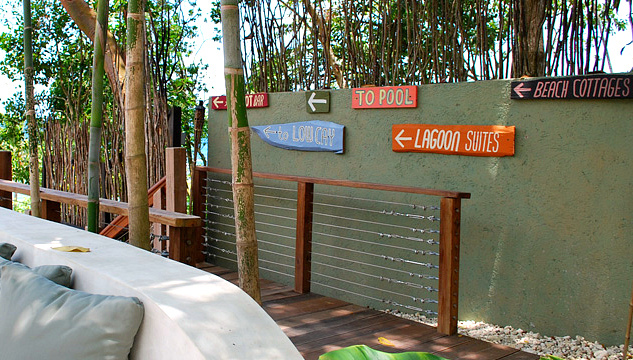 Large tropical garden bathroom with signature GoldenEye claw foot tub, outdoor shower and outdoor sink. Optional kingsize or twin beds with en-suite bathroom. Indoor bathroom with shower. 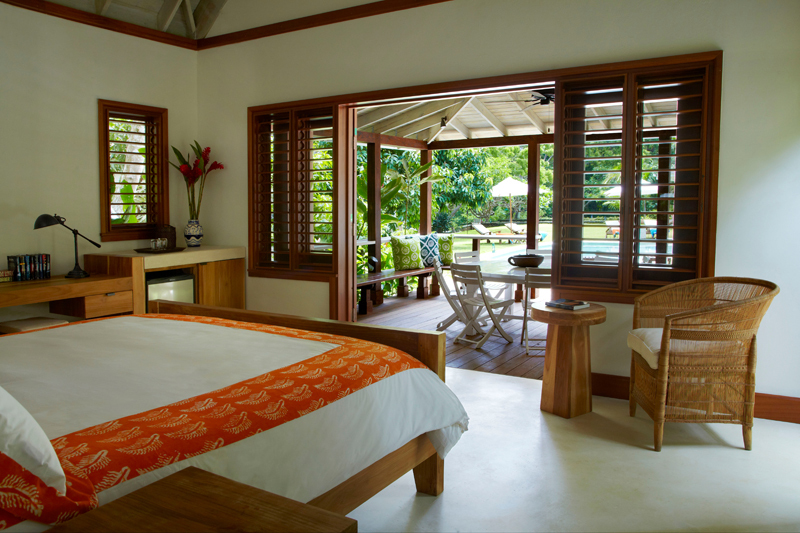 Large tropical garden bahtroom with signature GoldenEye claw foot tub, outdoor shower and outdoor sink. Queensize 4-poster bed with en-suite bathroom. Indoor bathroom with Shower. 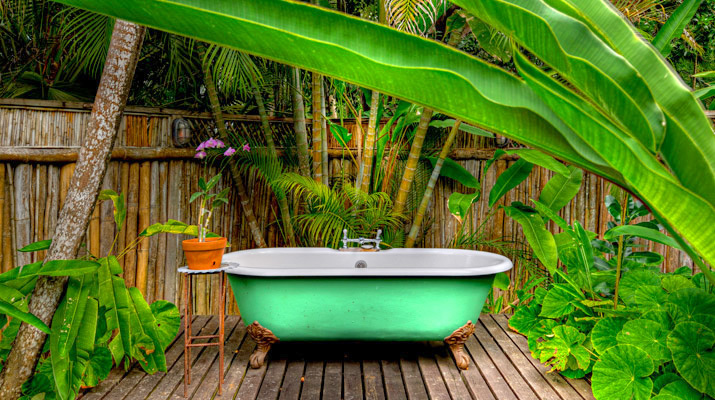 Large tropical garden bathroom with signature GoldenEye claw-foot tub, outdoor shower and outdoor sink. 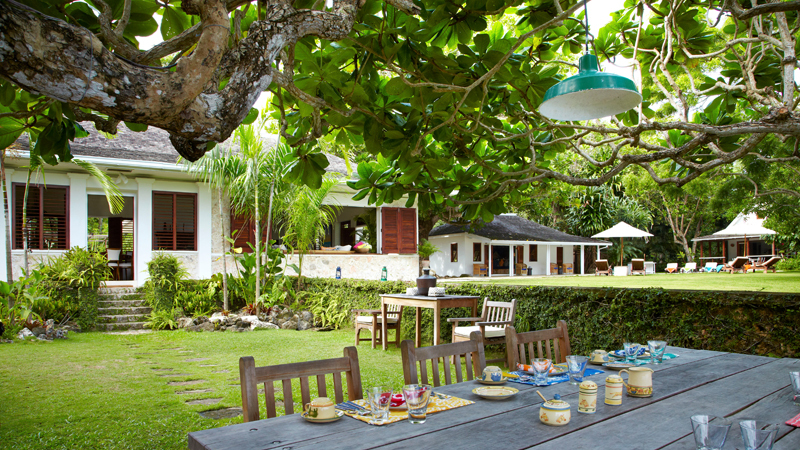 Built into the natural landscape, and features an oversized veranda overlooking the pool. 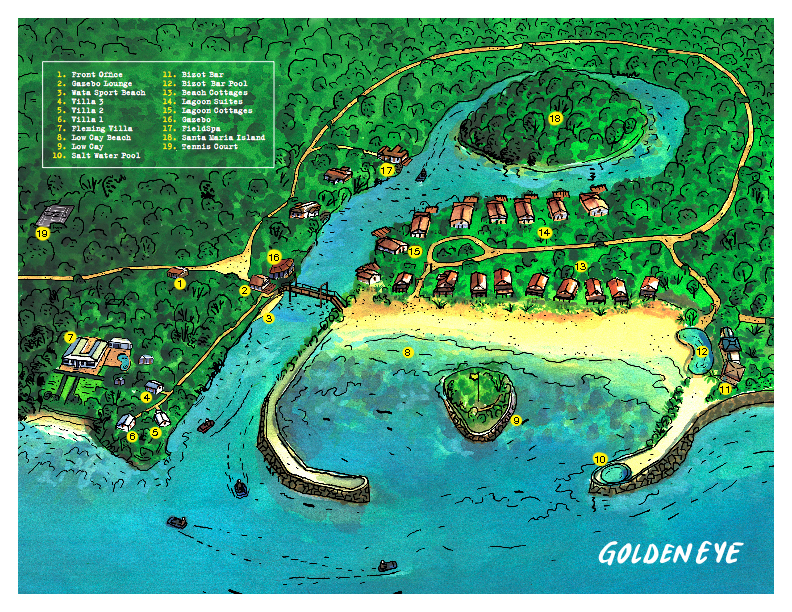 Kingsize bed, large bathroom with double vanity, bathtub, shower and outdoor shower amidst lush banana trees. 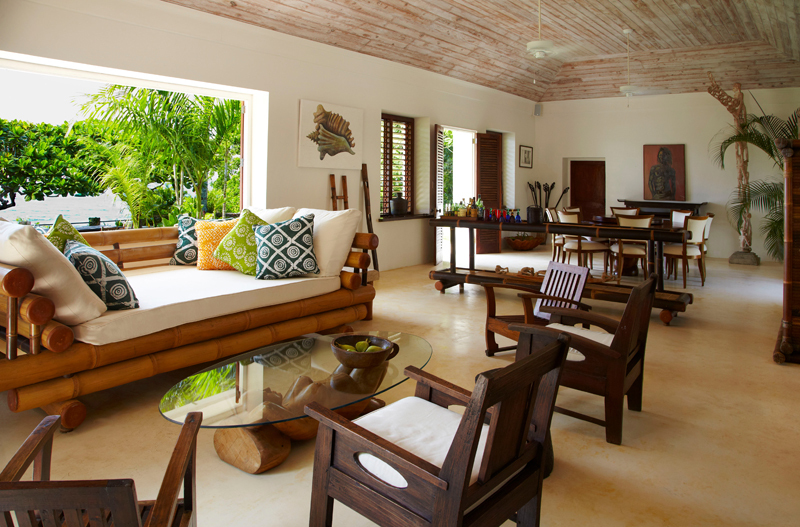 Overlooks the Caribbean Sea and is built seamlessly into the natural landscape. Additional rate options (3 and 4 bedroom rates) available upon request. Call for more information. Rates include full breakfast. Meal Plans are also available at additional charge. 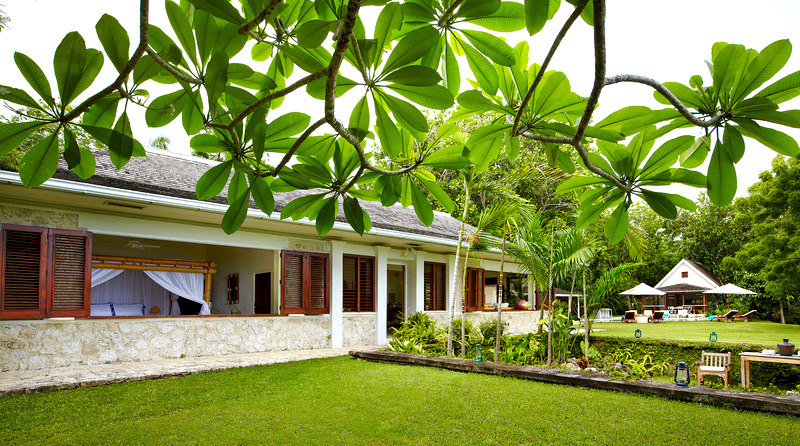 Rates are inclusive of 10% service charge* and taxes, including $2.00 per bedroom per night Government Accommodation tax. Maximum occupancy of 2 adults + 2 children under 10 in One Bedroom Villas, and 4 adults + 2 children under 10 in Two Bedroom Villas. Extra persons accommodated on a request basis. 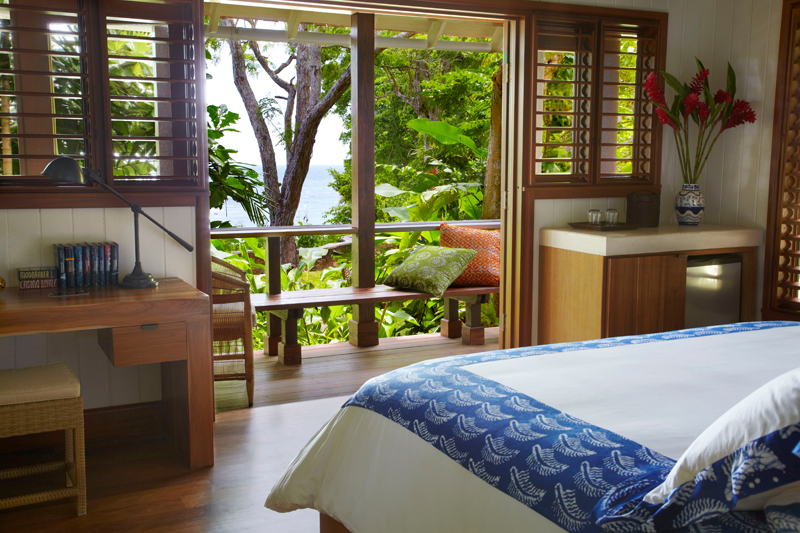 Additional adults or children sharing a cottage on daybeds or sofas will be charged a supplementary fee of $76 per person, per night, plus 20% tax and service charge. Child under 4 years old is complimentary. Rates include full breakfast. Meal Plans are also available at additional charge. *Service gratuity optional above the 10% service charge included in rates.